Painted on old timber planks with a recycled timber frame, this painting has country charm. Melon Painting. 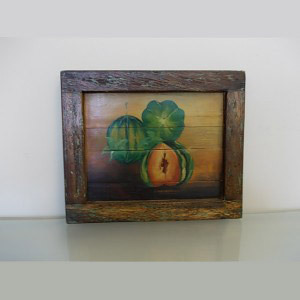 Painted on old timber planks with a recycled timber frame, this painting has country charm.